A woman whose father was among three neighbours killed in an IRA bombing has won High Court permission to challenge the Attorney General’s refusal to order a new inquest. Dorothy Johnstone was granted leave to seek a judicial review of John Larkin QC’s decision not to direct a fresh inquest into the so-called Good Samaritan attack in Londonderry 28 years ago. Mr Justice Maguire ruled on Friday she has established an arguable case that another probe is required to meet investigative obligations under the European Convention on Human Rights. The case is the first of its kind to challenge the decision-making powers of Northern Ireland’s chief legal officer. Ms Johntsone’s legal team claim that a new inquest could establish responsibility for police failures around the August 1988 booby-trap bombing. Her 54-year-old father Eugene Dalton and Sheila Lewis, 68, were both killed in the explosion at a house in the city’s Creggan area. A third victim, 57-year-old Gerard Curran, died months after being pulled from the rubble. 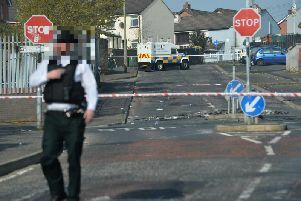 The attack became known as the ‘Good Samaritan Bombing’ because the three friends had gone to check on the whereabouts of a neighbour kidnapped earlier by the IRA. The paramilitary group claimed it had planted the device in a bid to kill soldiers. In 2013 Police Ombudsman Dr Michael Maguire published findings that RUC officers had information about an IRA booby trap bomb in a house in the housing estate, but did nothing to warn residents of the possible danger. The Ombudsman had found that “whilst the responsibility for the murders remains with the bombers, there was a failure by the police to protect the lives of the local community”. Following his report the-Attorney General decided a new inquest was not advisable at that time.